Hey guys! Don't you just love it when you get awesome treats? 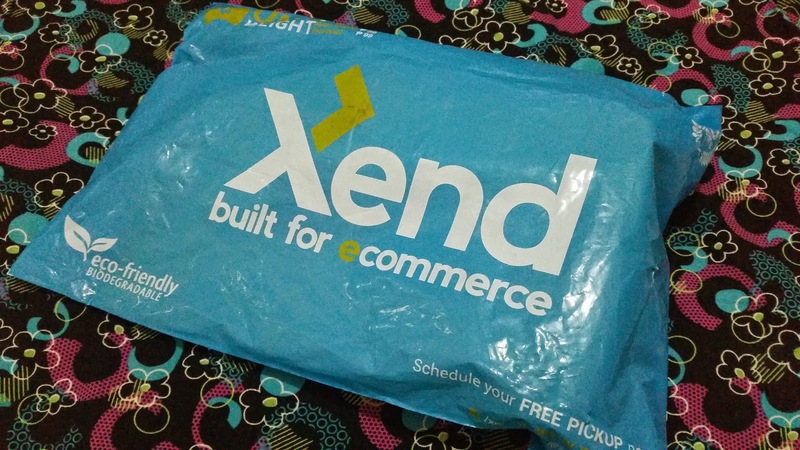 That's how I feel every time I get a package from Sample Room, the first and only sampling site in the country. Although summer is officially over, I still find it necessary to hydrate and protect the skin from the sun's harmful rays. This is why I didn't pass on the chance when Sample Room restocked with premium products from Vaseline. 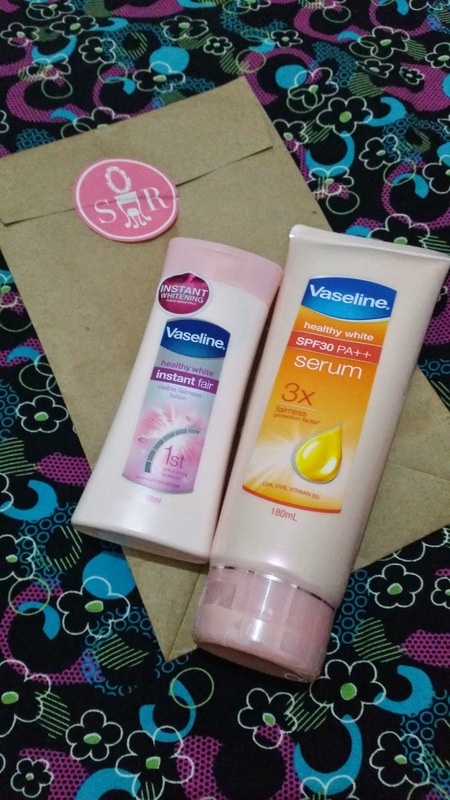 The Vaseline Healthy White Serum comes in a 180 ml squeeze type tube with a flip cover. I really like products that make it easy for consumers to dispense the contents. It also has a tiny spout that effectively regulates the flow. I like that it has a runny texture making it easy to spread. It may feel a little tacky on first application but it dries off quickly without the sticky feeling. 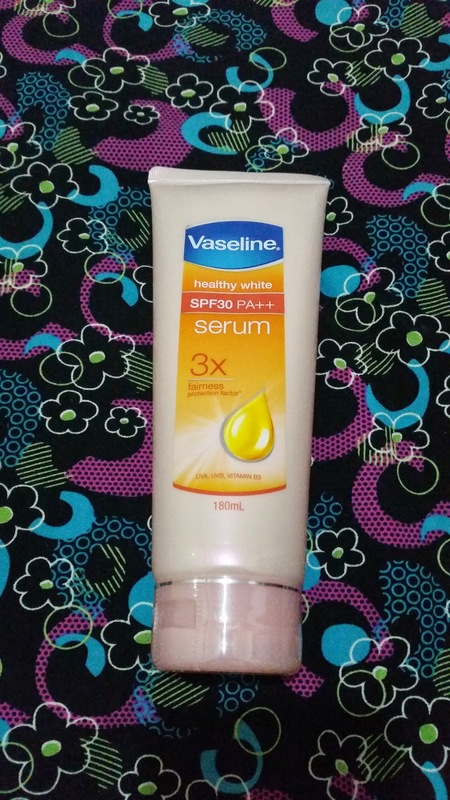 I love that it offers sun protection from both UVA and UVB rays with its SPF 30 PA++. It also contains Vitamin B3 that lightens and brightens the skin. I've been using this everyday for a week now and it has kept my skin looking well moisturized and healthy. I haven't seen my skin generally lighten yet but I did notice some post allergy marks on my wrist almost disappear. I'll continue using this and see how it goes. 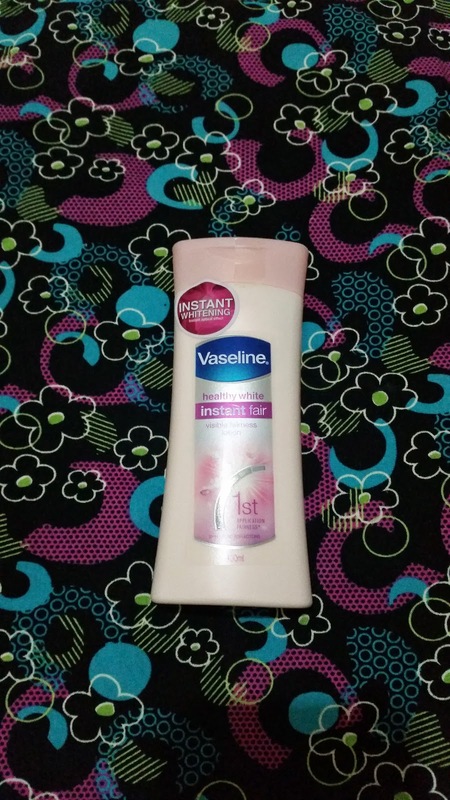 Next Vaseline product I got to try is the Healthy White Instant Fair Lotion. 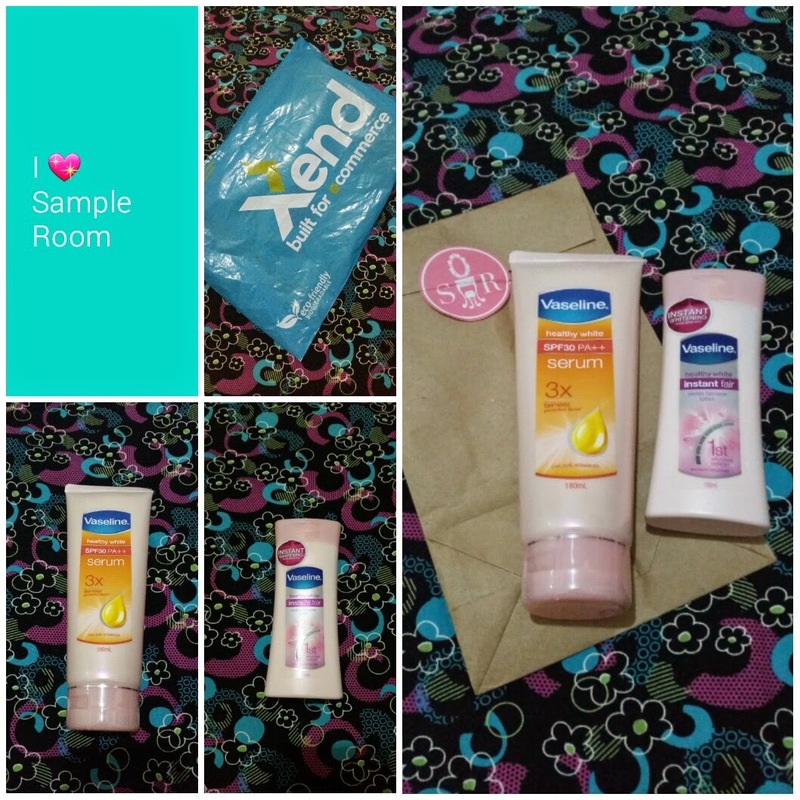 It has that usual lotion consistency making it thicker than the Serum. It also feels a little sticky on application but eventually dries off without the icky feeling. It has a pleasant scent that doesn't linger and contains light reflecting properties giving your skin an instant glow. Although it makes your skin appear instantly lighter, the effect isn't too obvious and doesn't last long either. 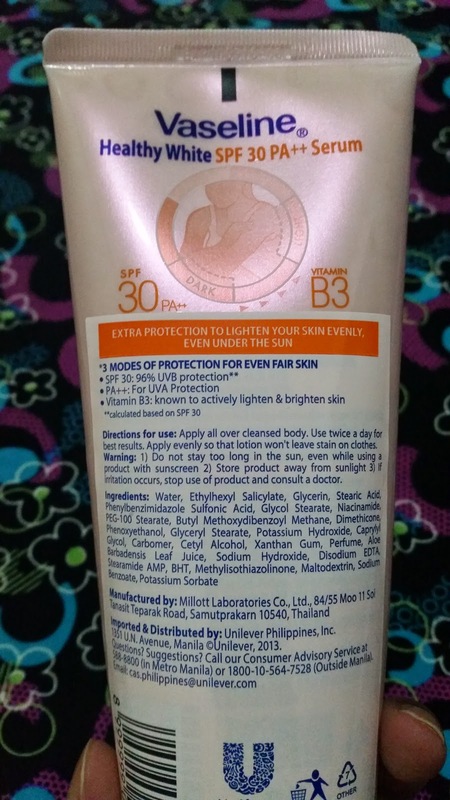 What's really more important is the fact that it contains Vitamin B3 and offers sun protection hence long term skin whitening effect. 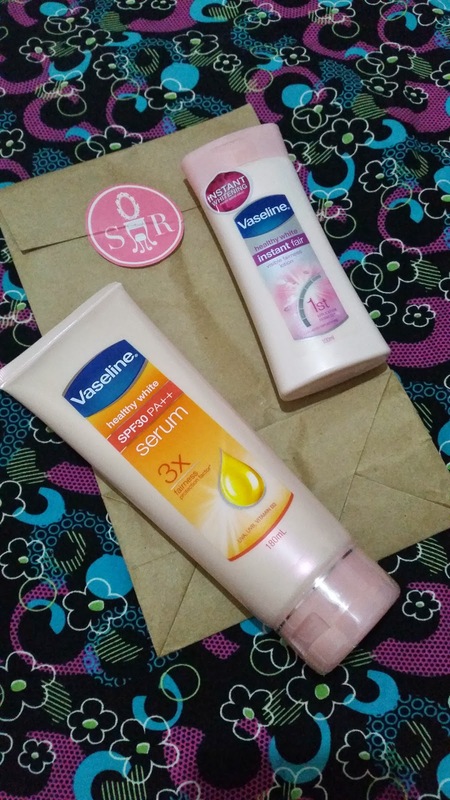 Overall, I'm enjoying these Vaseline products from Sample Room and I will use them to the last drop to see how my skin responds after long term use. Thank you for reading and have a nice week!